In Part 1 we revived Senator Howard Baker’s famous description of the giant Reagan Tax Cut of 1981 as a “riverboat gamble”, and that it was. When the “bidding war” with the Dems ended in July 1981, the US Congress had cut the Federal revenue base by 6.2% of GDP in the outyears. At today’s economic scale that would amount to a tax cut of $1.2 trillion per year! By contrast, the peak year cut (FY 2019) in the current tax bill is just $280 billion. 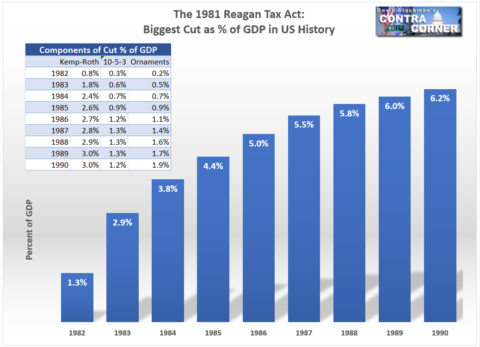 Nevertheless, we present this chart to demonstrate why today’s GOP “riverboat gamble” is actually far more dangerous than the one back then, and also why it’s capacity to actually stimulate a growth surge in the US economy is not even a pale imitation of the 1981 act. This post was published at David Stockmans Contra Corner on Thursday, December 21st, 2017. Matt Stoller and I, years ago, used to talk a fair bit on policy in the political realm. We have rather different views that could be reasonably-characterized by some “left:right”, but I think are more “socialist:libertarian”, when you get down to it. But that’s all well and good, if you can confine your differences to policy and try to hash out how the government can function more-efficiently, which I think everyone can define as provides more benefit than it costs to a larger percentage of the population. One of their first targets was an old man from Texarkana: a former cotton tenant farmer named Wright Patman who had served in Congress since 1929. He was also the chairman of the U. S. House Committee on Banking and Currency and had been for more than a decade. 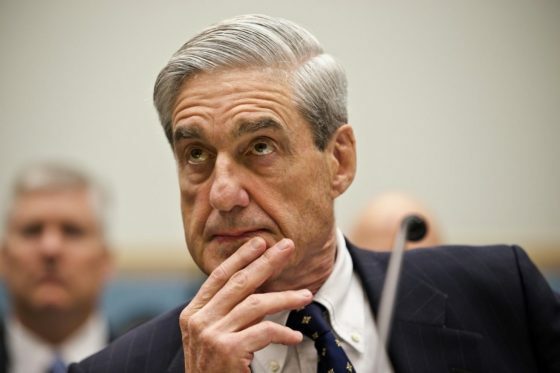 Antiwar liberal reformers realized that the key to power in Congress was through the committee system; being the chairman of a powerful committee meant having control over the flow of legislation. The problem was: Chairmen were selected based on their length of service. So liberal reformers already in office, buttressed by the Watergate Babies’ votes, demanded that the committee chairmen be picked by a full Democratic-caucus vote instead. Yang Xiadou is the Party’s number two man in Xi Jinping’s crackdown on corruption in the Chinese Communist Party – although some have seen this, in part, as a convenient way for Xi to bolster his power base. During the 19th Party Congress last month, Yang was asked about the anti-corruption drive and how to achieve a balance between human rights and party discipline. Yang replied that, having worked in the Tibet Autonomous Region for many years, human rights was an ‘interesting question’. He recounted a conversation he had with a US assistant secretary of state where he likened Abraham Lincoln freeing slaves in America to China’s actions in Tibet. ‘I said in the hearts of Chinese people, Lincoln is a hero, because he freed the slaves. On this point the Chinese people and the American people have the same understanding – this is a human rights issue.